Looking for a last-minute gift idea? This year, think about giving someone an "experience" they&apos;ll never forget. Memories made will last a lifetime, and you&apos;re gift will be remembered as one of the best. There are tons of amazing experiences in the Mat-Su Valley that would make a great gift this holiday season, for locals and visitors alike. For the adventurer, how about a gift certificate for zip lining, jet boating, rafting or flightseeing in Talkeetna? Better yet, you can create a "weekend getaway" gift by including an overnight in one of they many bed and breakfasts, dinner at one of fantastic downtown restaurants and the adventure component. Last year, I gave my family gift certificates for a guided trek on Matanuska Glacier. In June, we spent an afternoon with MICA Guides, exploring the glacier. We still talk about the fun time we all had out there. It turned out to be a perfect gift, and one that we&apos;ll be remembering for years to come. Another great gift idea is a weekend getaway to Knik River Lodge, where they&apos;ve added a fine dining restaurant. Every meal I&apos;ve had there has been spectacular, and the views are unforgettable. 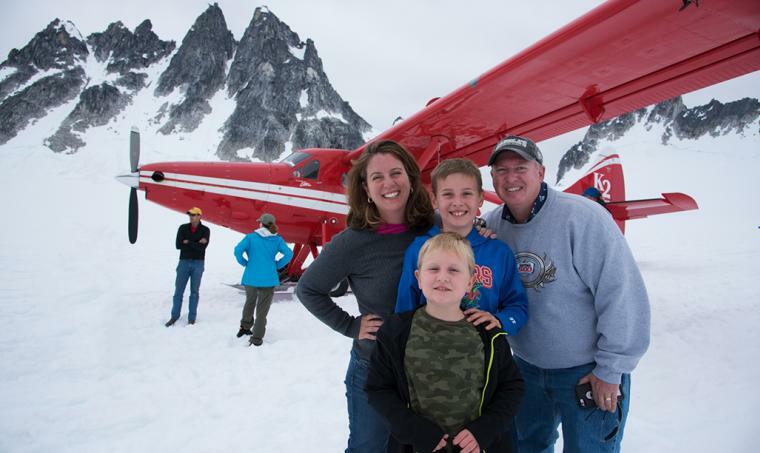 Throughout the summer, they also offer helicopter tours to Knik Glacier, which is a once-in-a-lifetime experience. For the animal lover, a unique gift is an Iditarod kennel tour. This fall, I had a group of 11 people do a kennel tour at Dream a Dream Dog Farm, the kennel for musher Vern Halter. The guests learned what it takes to run the Iditarod, visited with the musher and learned about all the tools and equipment. But the real stars were the dogs, and everyone&apos;s faces lit up going through the kennel, petting the puppies and meeting the athletes. An extended ride on an ATV pulled by a team of huskies was a highlight as well. By giving the gift of a travel experience, you not only create a lifetime of memories for someone, but you also help support local small businesses. The holidays don&apos;t have to be materialistic - after all, you can&apos;t put a price on spending time with your friends and family while experiencing all Alaska has to offer.